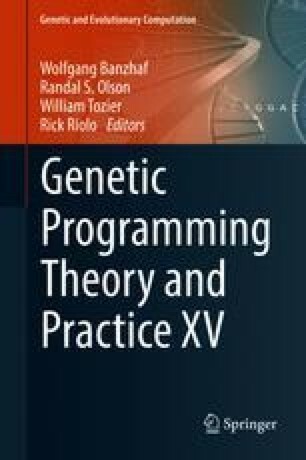 An investigation of the deviations of error and correlation for different stages of the multi-stage genetic programming (MSGP) algorithm in multivariate nonlinear problems is presented. The MSGP algorithm consists of two main stages: (1) incorporating the individual effect of the predictor variables, (2) incorporating the interactions among the predictor variables. The MSGP algorithm formulates these two terms in an efficient procedure to optimize the error among the predicted and the actual values. In addition to this, the proposed pipeline of the MSGP algorithm is implemented with a combination of parallel processing algorithms to run multiple jobs at the same time. To demonstrate the capabilities of the MSGP, its performance is compared with standard GP in modeling a regression problem. The results illustrate that the MSGP algorithm outperforms standard GP in terms of accuracy, efficiency, and computational cost. This material is based in part upon work supported by the National Science Foundation under Cooperative Agreement No. DBI-0939454. Any opinions, findings, and conclusions or recommendations expressed in this material are those of the authors and do not necessarily reflect the views of the National Science Foundation. For valuable help in the revision of the chapter we also would like to thank Eitan Lees for critical and helpful comments on final draft.